Several Chaparral students were selected for All-Southern Music Ensembles during auditions that were held in December. Students competed against their peers from across Southern California for a spot in Honor Band or Orchestra. Sponsored by the Southern California School Band and Orchestra Association, the ensembles offer a challenging musical experience to the top music students in school music programs. Students will rehearse for two weekends in January and perform during the annual SCSBOA conference on January 26. Eric Choi will be playing cello in the Elementary Orchestra. Middle School Honor Orchestra Students include: Kelly Choi, flute, Ian Kim, clarinet, Isaac Licari, oboe, Joey Lin, French Horn, and Chloe Hartanto, Percussion. Symphonic Band students include: Dora Huang, bass clarinet, Jenna Kim, Flute, Leelyn Shih, Euphonium, Ute Wong, Percussion and Lucy Wu, Euphonium. 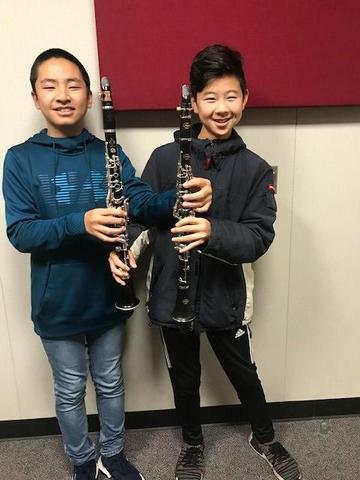 Ian Kim and Sunny Cai, clarinetists, will represent Chaparral Middle School at All-State this February in Fresno at the California All State Music Educator’s Conference. 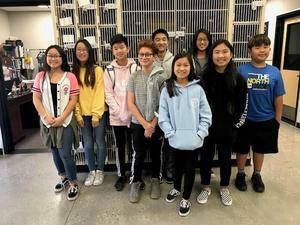 They competed against hundreds of their peers from across the state in December for a prestigious seat in one of the two middle school bands. Ian will join the Junior High Symphonic Band and Sunny will perform with the Junior High Concert Band. These students have shown enormous dedication and discipline to reaching the level needed to be chosen for this opportunity. “I am excited because of the experience I will have and how it will benefit my future career in music and just the opportunity to learn,” says Sunny Cai. Students will work with renowned conductors over three days as they prepare for performances on February 17.